The summer is flying by! I have been very busy with kiddos and parties. You know I love to create fancy party things so I've been in heaven. 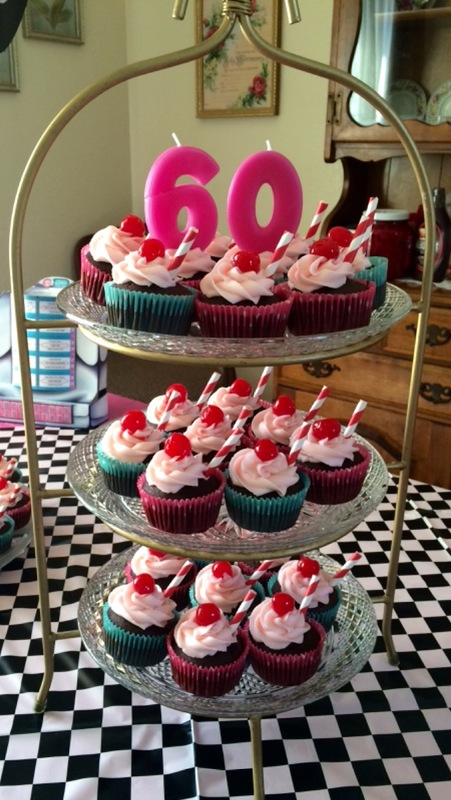 a few weeks ago my mom turned 60. I know some may think a 60's theme party would have been in order but we couldn't help but celebrate her favorite era, and the year she was born 1955. 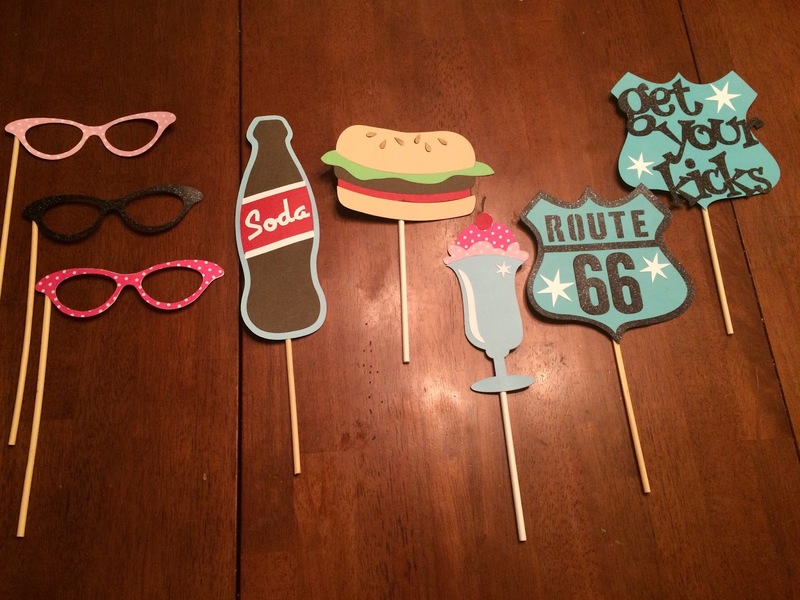 A 50's party it was. We had hot dogs, hamburgers, fries, soda bar, and a banana split bar. I was in charge of the martinis and of course the cupcakes. I made cherry cola cupcakes topped with cherries and striped straws. They tasted just like cherry cola! The color scheme was pink and teal with black and white checked accents. 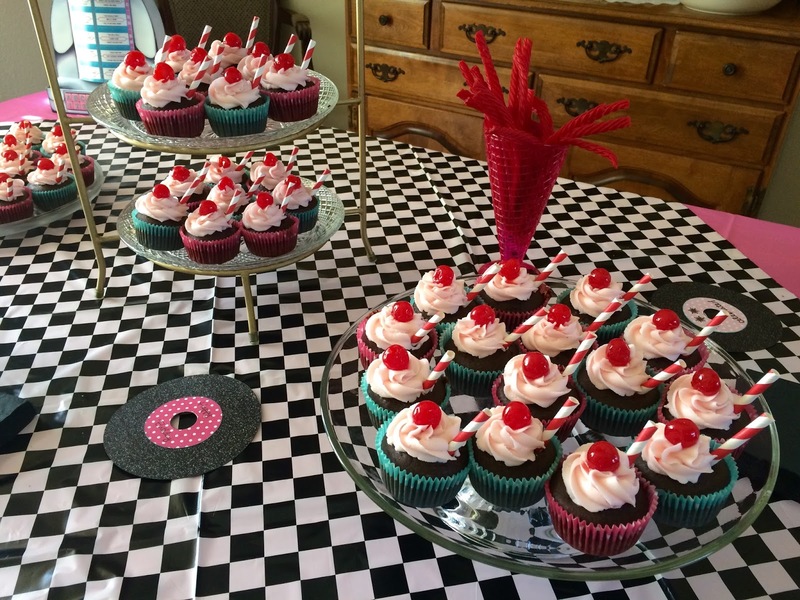 The records on the table were cut with my Cricut from black glitter cardstock and topped with pink polka dot labels. I stacked the cakes on a few different cake plates and added the paper jukebox you see in the background. It looked amazing! It all came together beautifully and my mom was very happy. Well.....thank you so much for stopping by today. 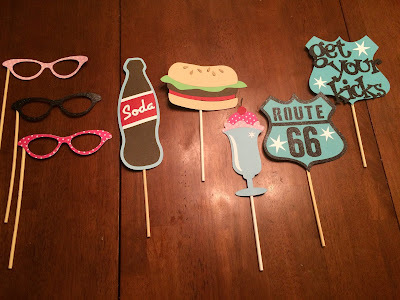 I have a few more summer party creations to share with you so please stop by again soon for more inspiration. Can you send me a link to the Nifty 50's image set? I found one but the images look different than the ones you show in the picture. I really like yours and want to make sure I am getting the same ones!